Review: for King & Country - Run Wild. Live Free. Love Strong. 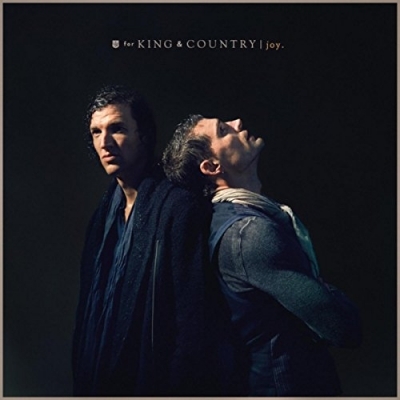 Two-time GRAMMY award-winning duo for KING & COUNTRY’s new single 'joy.' debuted at No. 1 on the Christian/Gospel Digital Tracks chart and No. 2 on Billboard’s Hot Christian Songs chart (which blends airplay, streaming and sales) this week, marking an unprecedented debut on both charts. In addition, the song debuted on Billboard’s (ALL GENRE) Digital Song Sales chart at No. 26 making it the duo’s highest debut on that chart. The song quickly became the biggest airplay gainer this week jumping from #40 to #21 (an increase of 266%) on the Christian Airplay chart. After appearing out of the gate on Spotify’s “New Music Friday” and “Pop Rising” playlists, “joy.” went on to reach Spotify’s Top 50 Global and Viral 50 USA charts. You can watch the music video featuring Emmy-nominated actress Candace Cameron Bure above, which has been viewed more than 1 million times on YouTube to date. The duo is currently on a multiple international show run. Over the past week, they have performed in Iceland, Germany, and the Netherlands, with remaining dates in Poland, Switzerland, United Kingdom, and Belgium.